On Wednesday afternoon, we pulled out of our driveway with a full tank of gas, too many matchbox cars, and enough podcasts to entertain us for the 10+ hour drive to Georgia. Over the river and through the woods, to Grandmother’s house we went. And after about two hours on I-95, we had traveled approximately 30 miles and looked at the clock with disgust. 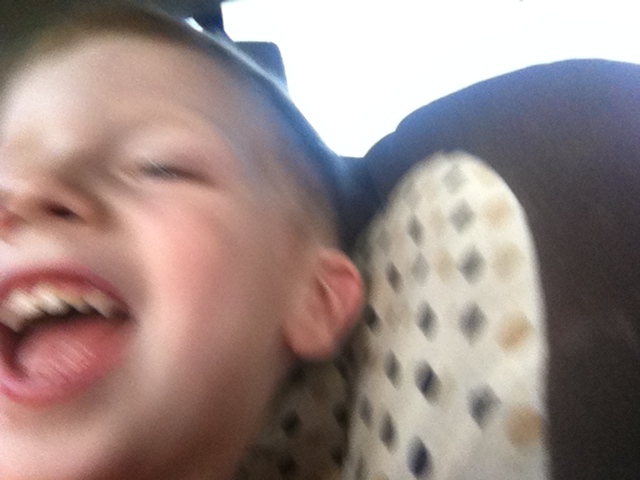 Weston passed the time by taking pictures with my phone. The traffic was absolutely miserable. But we were committed to waking up at my parents’ house on Thanksgiving – so when we pulled into their driveway at 3:00am with a snoring preschooler and chocolate lab in the backseat, we basked in a feeling of triumph. And then promptly fell asleep. When we woke up the next morning (a huge thank you to my sister, Megan, for watching Weston while we slept in), our late night was nothing multiple cups of coffee and food preparation couldn’t cure. 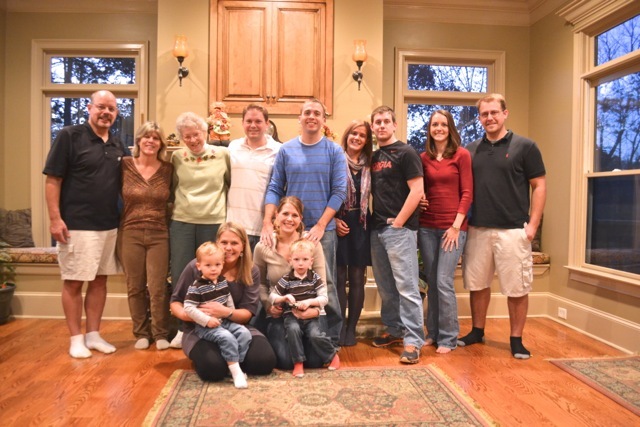 Everybody journeyed to Lake Lanier for the holiday – Megan, Mike, Mikey, Scott, Kelly, Julie, Zach, Grandma, and our little family. As my siblings and I establish holiday traditions and obligations with our own families, the opportunities to have everybody congregate together are diminishing. So it is important to take advantage of such opportunities. And after our almost 14 hour drive back home yesterday, the jury is still out whether we will take the opportunity to travel such a long distance over Thanksgiving again. I suppose it was a successful reunion – no blood was shed, no feats of strength occurred, and there was more laughter than arguments. We ate. We shopped. And Clay and I finally saw Skyfall. 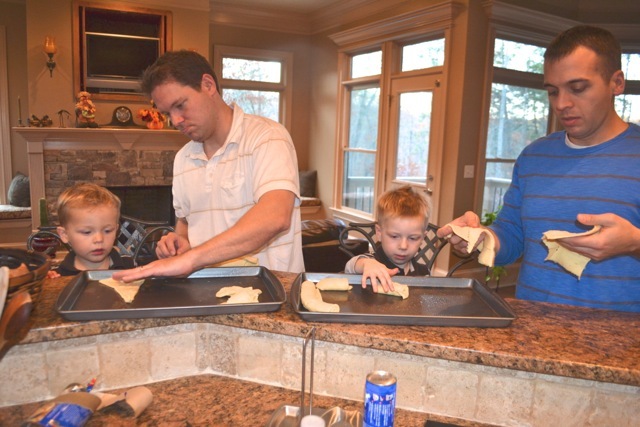 Clay and Mike supervised the boys making the crescent rolls. 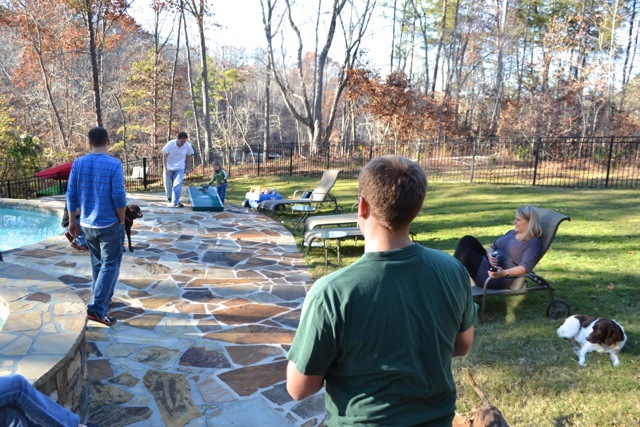 We tested the new corn hole set – an early Christmas gift from Kelly to Mike. 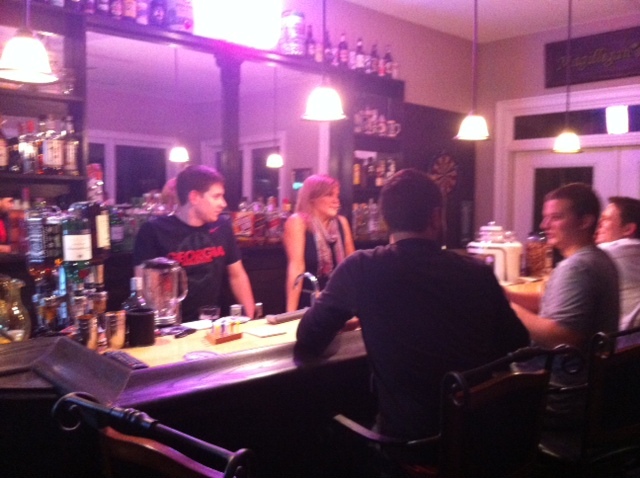 Julie and Zach showed off their bartending skills at Zach’s dad’s house. 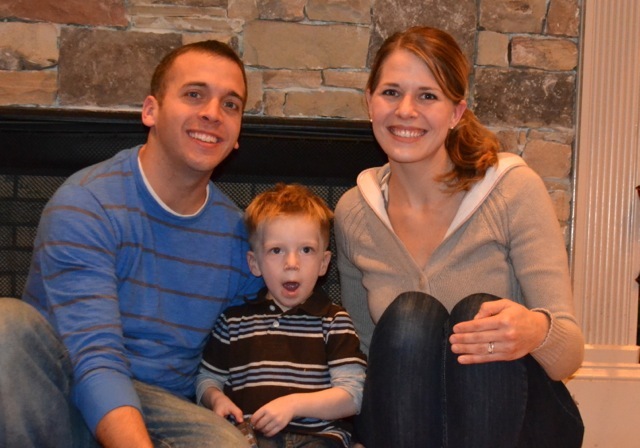 And we took too many pictures, as evident by Weston’s bored yawn. Next ›Too Little Christmas Cheer? Ah, yes. The Nova holiday tradition of parking your car on 95. 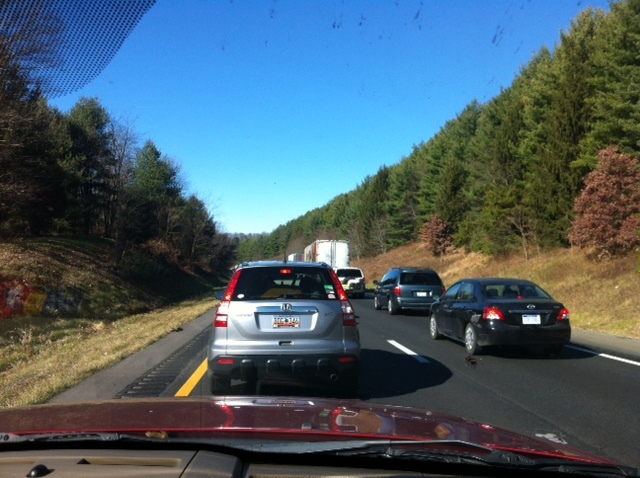 After 8 hours on 95, returning from the airport, one Thanksgiving weekend – we never again traveled on the holidays. Looks like you have a lot of fun when your family gets together! 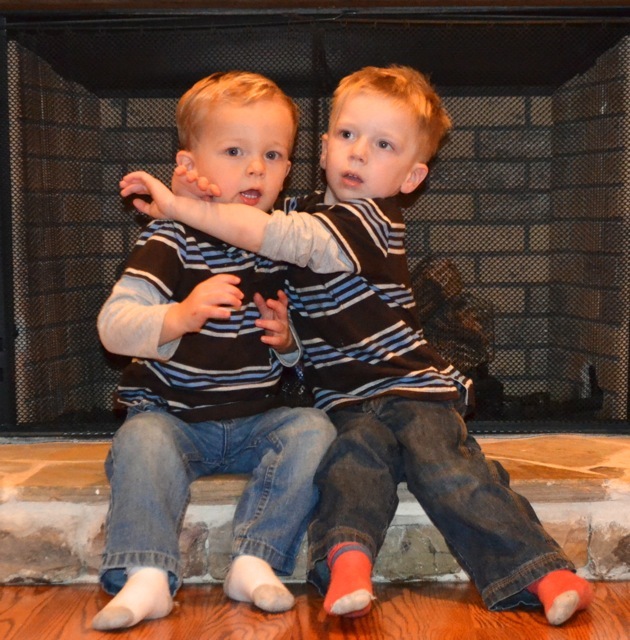 How fun that Weston and his cousin are close in age, they look like little buddies!